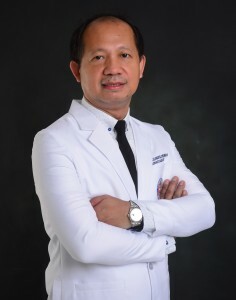 Medical Director’s Message – FLORIDABLANCA DOCTORS' HOSPITAL, INC. I warmly welcome you to FDHI! Thank you for visiting the website of Floridablanca Doctors’ Hospital, Inc. It is with pride that I present to you the first private hospital in Floridablanca, Pampanga. Providing the best compassionate care to every patient is the heart of this hospital and we seek to achieve this through continuous improvements on our facilities and services. Our desire is to be a leading provider of healthcare services to the whole community of Central Luzon. At FDHI, we foster and promote safe and comfortable environment where individuals, families and staff are treated with respect and dignity. I hope that we’ll be able to create positive impact on people’s lives through the way we perform and serve. The purpose of this website is for you to know us better. We hope that this website will provide information, news and updates that are relevant to you. This is also a good opportunity for us to connect to you and your loved ones. I look forward to hearing from you and your valuable suggestions in making FDHI a better place.